Have you ever thought about a Bavarian shawl? 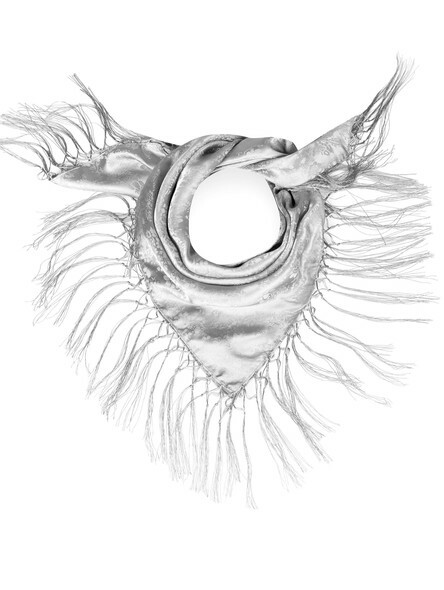 Our fancy scarves are great accessories for men and women. 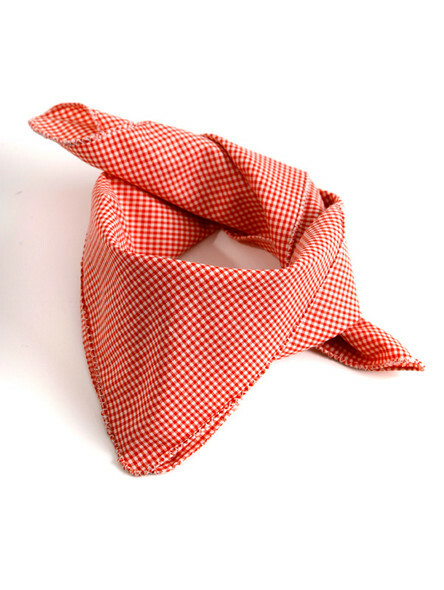 No matter if a "Schmieserl" (traditional scarf) around the neck of the man or a triangular neckerchief around the ladies? shoulder. Create your own style! 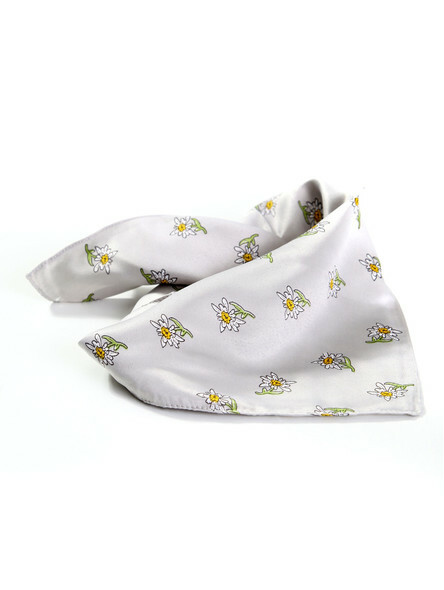 A small traditional scarf, either chequered or with an edelweiss pattern, is best suited for handsome boys. 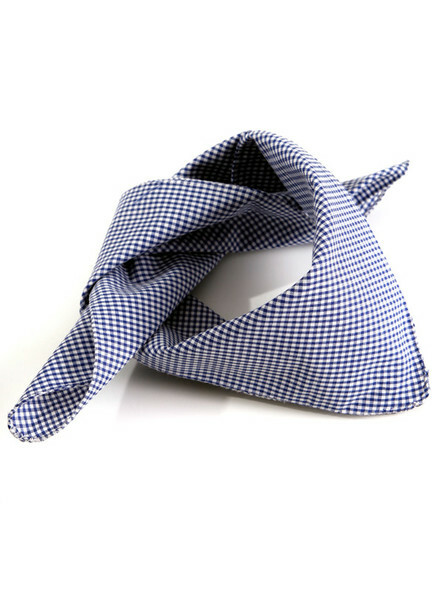 These are folded diagonally to form a triangle. Now roll it up loosely towards the tip or fold it to a broad ribbon. Lay it loosely around the neck and close it with a double knot. 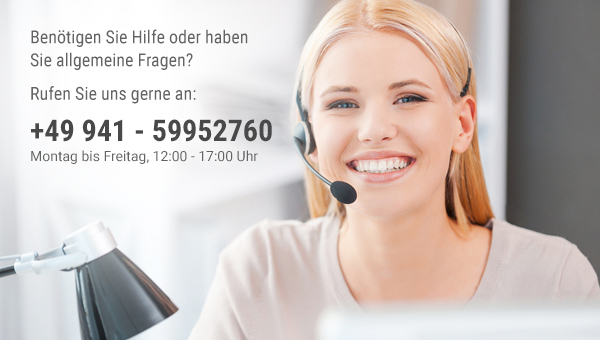 Whether the ends face forward, protrude slightly sideways or are hidden in the neck - it´s up to you. 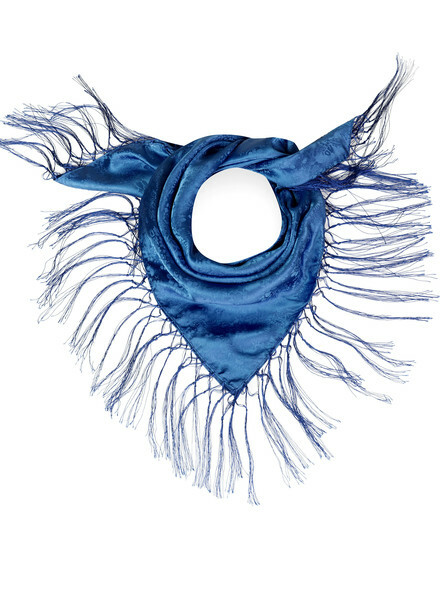 The ideal scarf for a dirndl is the classic triangular scarf with fringes. A warm and chic companion when it is still or already a bit fresh outside. 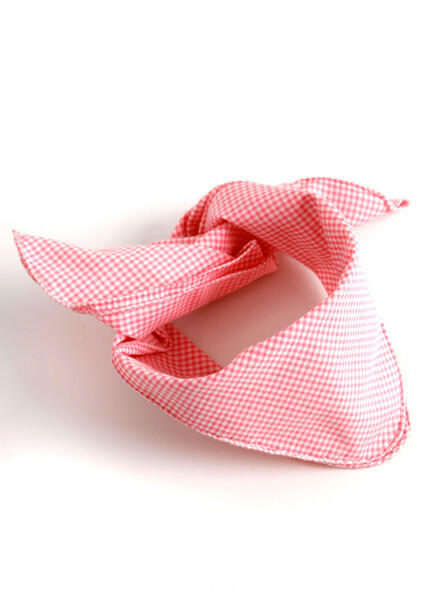 Our brightly coloured dirndl scarves are made of 100% silk and give every dirndl that certain something or even the necessary elegance, because different occasions require different looks. Fold the square scarf diagonally to form a triangle. Now place over the shoulders around the neck so that the tip of the triangle lies on the back and the two narrow ends lie on the chest. You can now close the scarf with a scarf clip (maybe you have an antique piece of mom or grandma) or simply with a knot above the cleavage. But if you want to show off your décolleté and dirndl blouse, you can also simply let the ends of the dirndl scarf disappear in the bodice. Our smaller shawls for women, also known as ?Nickituch?, can be worn following the example of men. 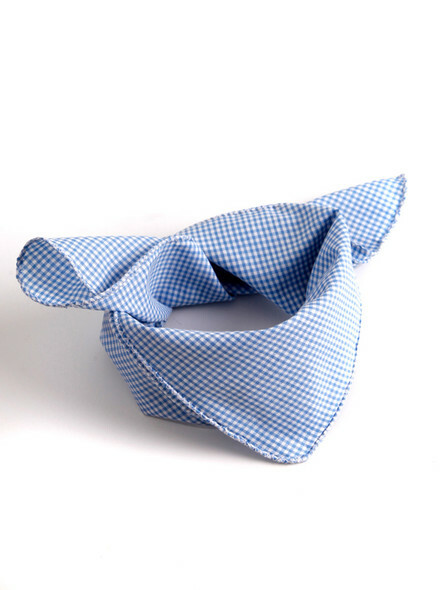 They go perfectly with female Bavarian chlothing such as bodice and traditional blouses. 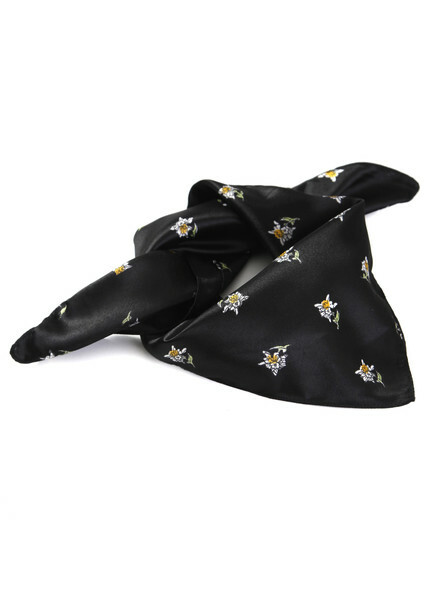 A cheeky or also noble accessory is the traditional costume scarf for ladies, if it is tied laterally with a double knot. 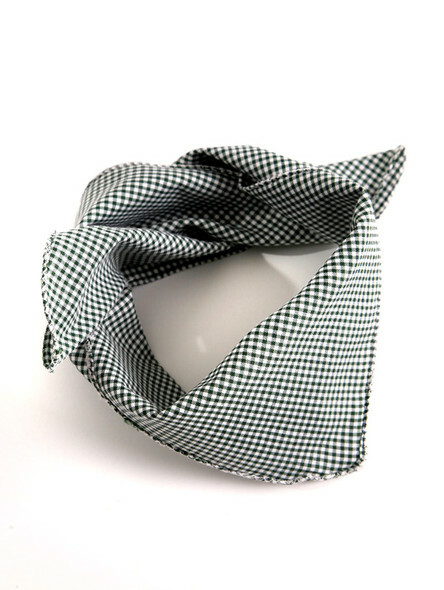 If you like, you can also bind the small triangular scarf at the back of the neck to show off the pattern.